The Hague Tech and its Partners have collaborated to set up their ‘Emerging Markets Bootcamp’ ! This three day event is for Dutch start-ups and scale-ups to learn more about soft landing programs in South Africa and other emerging markets globally. As well as providing insight into the Dutch entrepreneurial climate for startups from the emerging economies. 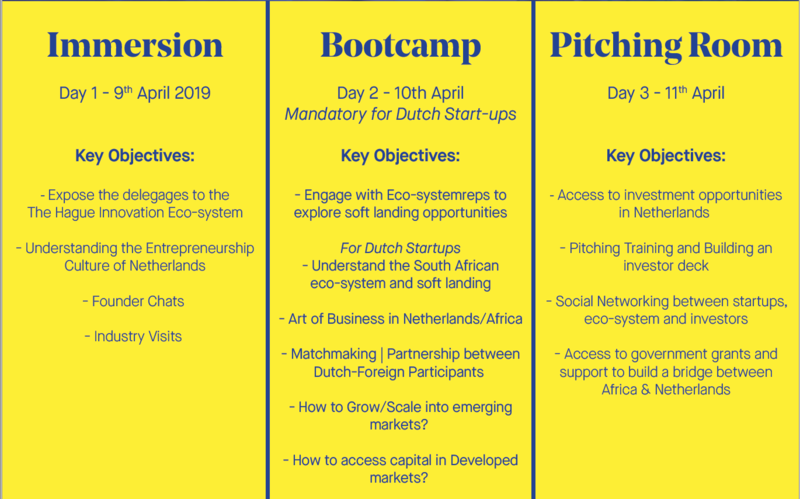 Attendance at the bootcamp for Dutch parties is only through invitation to the applicants who wish to expand their business in Africa and beyond. « SDG 7 – How does the Netherlands contribute to Renewable Energy in Developing Countries?